Cardamom Spiced Apple, Date & Seed Muffins. 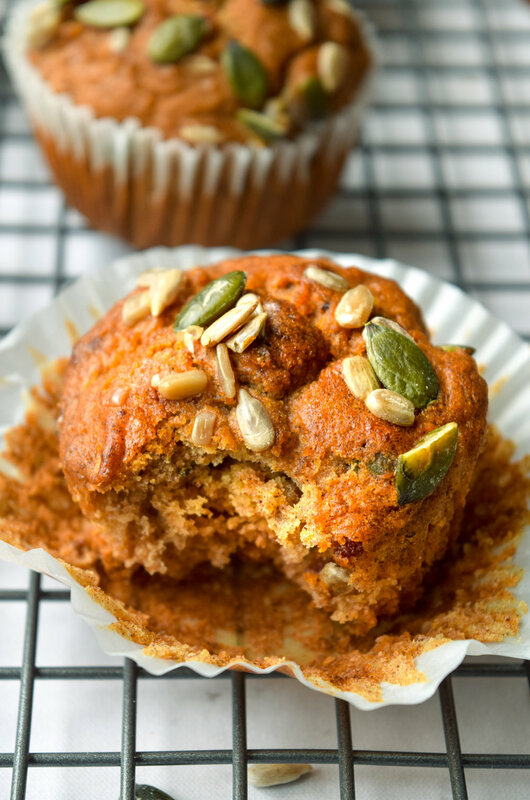 A great healthier sweet muffin recipe that is perfect for packed lunches or school snacks, they are free from refined sugar and contain no nuts. They also freeze well, so bake a batch, pop them in the freezer, and take them out as you need them. You may have noticed that I have a bit of an obsession with dates at the moment, I just can't get enough! In most cases I use Medjool dates because I love the chewy texture and sweet flavour. They are a great natural sweetener to use in cakes, energy balls, and bars. It has been a big week this week with Little Whisk starting kindergarten. It is one of those times where I felt so full of different emotions; sad that my little girl isn't a baby anymore, nervous for her, but also proud and excited for all the new experiences that she is going to have. With the start of the school year for every parent comes new routines and requests. 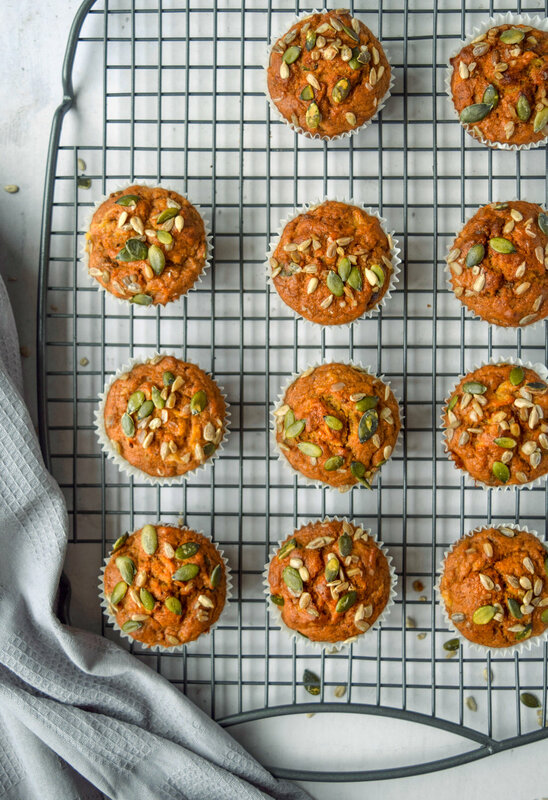 Healthy and interesting packed lunch or snack options can be a bit of a challenge but these tasty muffins have been well received in my house. Little Whisk's kindergarten is completely nut free so instead of including any nuts in this recipe I have used a combination of pumpkin seeds and sunflower seeds. They are also great for an easy grab and go breakfast for those mornings when you are in a hurry. Line a muffin tin with paper cases and preheat the oven to 170 degrees centigrade. Place the dates and coconut oil in a food processor and blend for a few minutes until they form a paste. Put the date mixture into a large mixing bowl and add the apple puree, grated apple, eggs, vanilla, and maple syrup. Stir to combine. Sift together the flour, baking powder, bicarbonate of soda, salt, and spices. Gently fold the dry ingredients into the wet ingredients. Add the seeds to the mixture and stir. Spoon the mixture into the muffin cases and sprinkle a few more seeds on top. Bake in the middle of the oven for approximately 25 minutes or until the tops are springy and a skewer inserted into the center comes out clean.